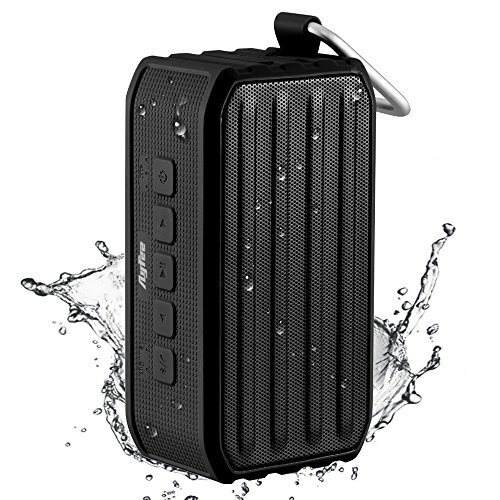 The Ayfee Stereo S is an outstanding waterproof Bluetooth speaker in every way. 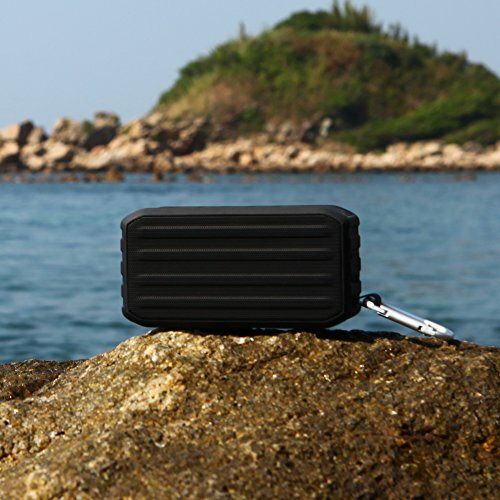 It features a rugged waterproof design that's IPX6-rated, Whether on the beach, by the poolside, hiking in the rain or enjoying a shower, just take it with you wherever you go. Don't let its size fool you, it plays louder and sounds fuller and more natural than most of its competitors, including many larger and more expensive models. It has two 1.5 inches total 7 watt speaker drivers and a proprietary passive bass radiator, delivers a full-range and bass-driven listening experience. It Can be used wirelessly (via Bluetooth), wired (via the Micro-USB or 3.5mm Aux ports), via NFC or you can insert a Micro-SD card (Maximum support 32GB) and play with built-in MP3 player. 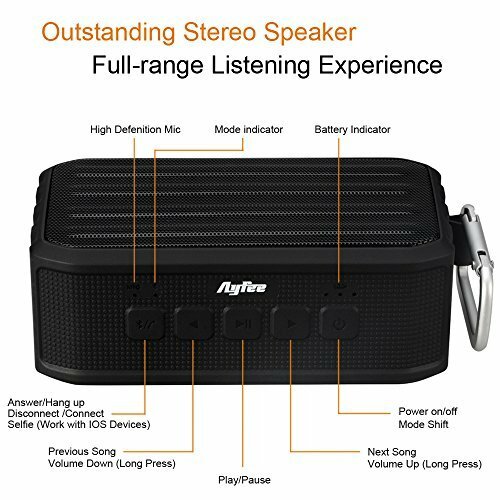 If you want high-quality sound in a compact size, truly waterproof Bluetooth speaker, the Ayfee stereo S is your best bet. Here at Ayfee, every products includes an 18-month warranty ensures long-lasting enjoyment of your purchase.